When it comes to Irish recipes, shepherd’s pie is as classic as it gets. Moist beef, fluffy mashed potatoes, tender vegetables… this St. Patrick’s Day favorite is as good as a pot of gold at the end of the rainbow. 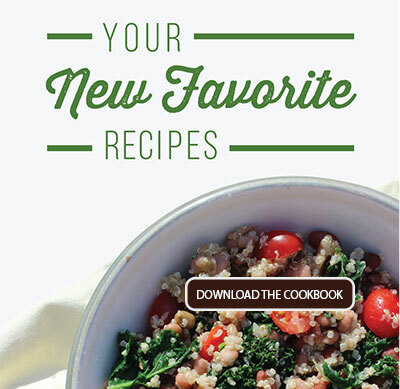 So, how do you improve on a recipe that is already fool-proof and delicious? The answer: Add some Randall Beans into the mix. 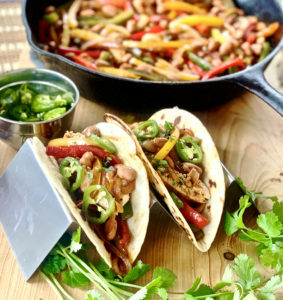 Beans are the perfect thing to add to a recipe to give it new life and an exciting new twist. They add nutty, Earthy notes to the recipe’s pallet while adding great texture with their plump and creamy exterior. And best of all, beans are easy! All you have to do is open your jar of Randall Beans, rise them off and put them in. 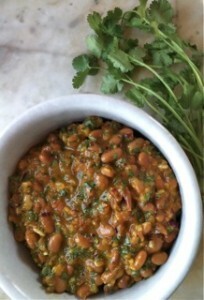 There are no extra steps or preparation to accommodate the addition of beans into your recipe. As for this shepherd’s pie recipe: it is as simple as they come. Brown the beef, saute the veggies, stir in all the fresh spices, fill up a baking dish and top with mashed potatoes. 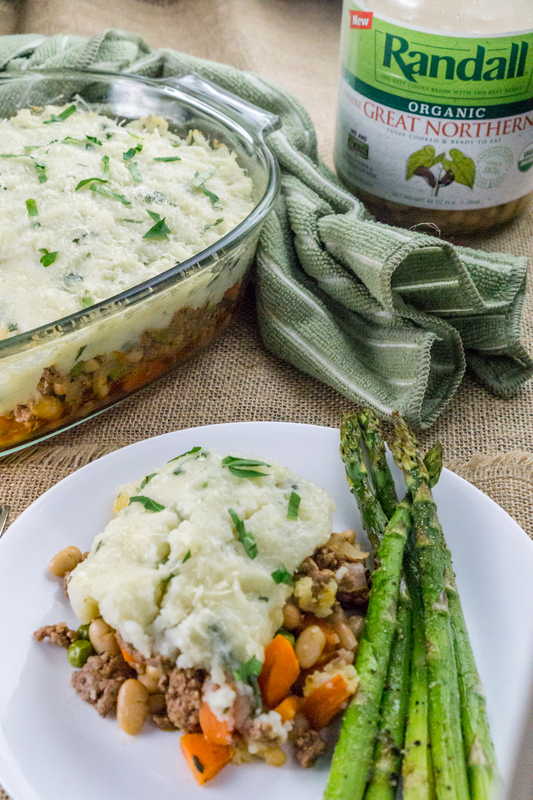 Shepherd’s pie if the perfect meal to plan after you make mashed potatoes because you have something to do with all your leftovers (and there are always leftover mashed potatoes). But, if you are feeling like getting into the Irish spirit for St. Patrick’s day you can always make some just for the recipe. Preheat oven to 400F. Spray a 9 x 13 inch baking dish with non-stick spray. Heat the vegetable oil in a very large skillet. Add the ground beef, diced carrots, diced onions, and minced garlic. Saute over high heat for about 10 minutes, or until the ground beef is browned and the carrots and onions start to soften. Stir in the salt, thyme, rosemary, tomato paste, and peas, and continue to cook another 5 minutes. Remove from heat, and stir in the Great Northern Beans. Add the beef mixture to the baking dish, and spread the mashed potatoes on top. Sprinkle with freshly grated Parmesan cheese, if using. Bake at 400F for 20 minutes, or until the Shepherd’s Pie is heated through. Garnish with fresh parsley leaves, and serve warm. 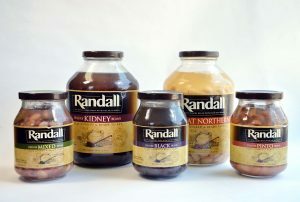 Does your local store carry a limited supply of Randall Beans, our organic-variety jars or not carry us at all? Make sure to tell them you want us in their store! In the meantime, you can always have our beans shipped straight to your door. Our online store carries every variety of our fabulous beans, including organic-variety beans and sampler packs if you want to see what else we have to offer.